For the eighth straight year, Regency Centers has been awarded a First Coast Healthiest Companies Award. 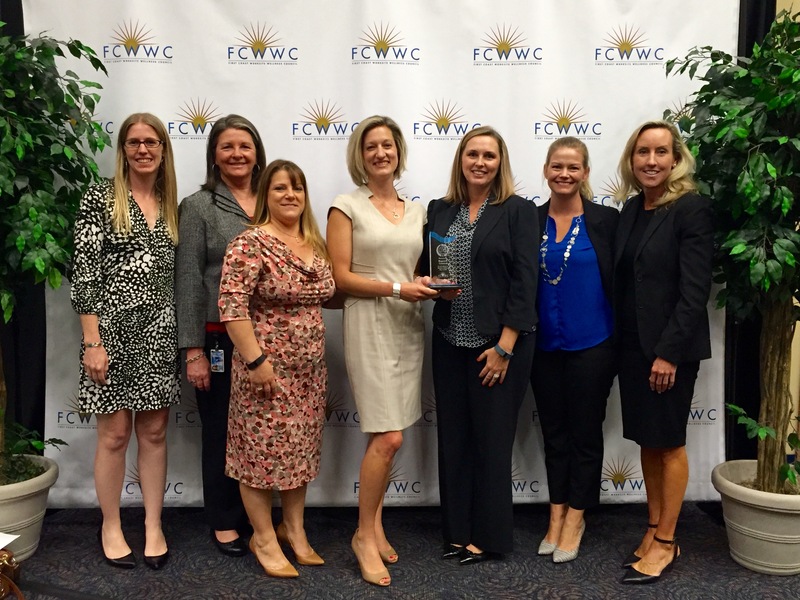 This is the second year in a row that we have been awarded the highest honor of Platinum by the First Coast Worksite Wellness Council and the Mayor's Council on Fitness and Well-Being. Throughout the years, we have striven to find the perfect balance of health, wellness, and the workplace. In 2014, we received our first Gold recognition for our efforts, and it has been in the last two years that we have found a highly successful coupling of initiatives and programs to achieve Platinum status. "Once we started using Viverae to track our results we were able to get a better idea on what our company's health needs were," said Jamie Conroy, Director of Human Resources. "We were able to create targeted health campaigns to address the specific results we were seeing, and then design the entire program to meet those needs." Jamie continued, "Participation from our executives was key. They have been so overwhelmingly supportive and involved in our initiatives that they allow us to truly build something special and effective." Other Platinum Award winners include Acosta Sales & Marketing, Availity LLC, Baptist Health, Brooks Rehabilitation, Crowley Maritime Corporation, CSX Transportation, First Coast YMCA, Florida Blue, Florida HealthCare Plans, Harden, Health Designs, Humana, Johnson & Johnson Vision Care, St. Vincent's Healthcare, Taylor Residences, UF Health Jacksonville, and University of North Florida.